A have a copy that has side 1 on both sides. ugh. anyone interested in it? Does anybody know what label was the earliest of all these variations? 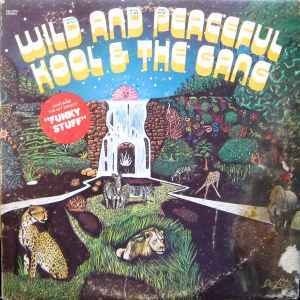 I have this one but also http://www.discogs.com/Kool-The-Gang-Wild-And-Peaceful/release/3400332, where the vinyl is a bit heavier, so I'm thinking that might be an earlier issue. Does anybody know what label was the earliest of all these variations? I have this one but also http://www.discogs.com/Kool-The-Gang-Wild-And-Peaceful/release/3811099, where the vinyl is a bit lighter than this one, so I'm thinking that might be a later issue.